The 2018 Literature Nobel was cancelled amidst allegations of sexual assault, but the New Academy is inviting votes for an alternative prize. In the weeks following Kazuo Ishiguro’s Literature Nobel win last year – what critics and readers deemed a safe, conventional choice after the Bob Dylan controversy in 2016 – Sam Carter, managing editor at Asymptote, wrote the thought-provokingly titled essay: “The Nobel’s Faulty Compass”. He opened his essay with the clarification that when Alfred Nobel conceived the five Nobel Prizes in 1895, he specified that the literary prize should be awarded to whichever writer had produced “the most outstanding work in an ideal direction”. Carter then proceeded to share a series of unsurprising statistics that seriously undermine what we may understand this “ideal direction” to be. From 1901 to 2017, only fourteen women have won the prize, and of the 113 laureates so far, 29 have written in English (further followed by ten European languages). “If these numbers are supposed to be approximations or even representations of an ideal direction, we should ask ourselves if the compass is broken,” he wrote. On May 4, the Swedish Academy announced that is would not be awarding the Nobel Prize in Literature in 2018, following allegations of corruption and sexual assault. After this announcement, The New Yorker writer Alexandra Schwartz seemed to have answered Sam Carter’s question, more existentially, if not directionally: “The Nobel Prize in Literature is broken”, she declared. This scandal, Schwartz realised, was a stark reminder that “behind the mystical Nobel curtain is a small, fairly homogeneous group of fallible Swedes who have taken it upon themselves to arbitrate all of world literature”. But the power of books goes beyond the politics of prize cultures. The New Academy, founded by journalist Alexandra Pascalidou and approximately 100 Swedish cultural figures, have put forth their own prize as the alternative Nobel “to warrant that an international literary prize be awarded in 2018, but also as a reminder that literature should be associated with democracy, openness, empathy and respect”. “In a time when human values are increasingly being called into question, literature becomes the counterforce of oppression and a code of silence,” they stated. The winner of the New Academy Prize in Literature will be announced on October 14 and awarded one million kroner at a formal celebratory event on December 10. The New Academy will be dissolved the very next day. It’s safe to argue that if, according to Schwartz, the Nobel curtain has held a reputation of appearing “mystical” and full of “illusions”, the New Academy are staging a magic show of sorts of their own – only, there are no tricks. The New Academy requested Swedish librarians to submit nominations from around the world and have made the resulting longlist of 46 authors open to a worldwide public vote until August 14. This will provide a list of three authors for final judging by the expert jury (presided over by editor and independent publisher Ann Pålsson), who will be accompanied by a fourth author based on the nominations from the librarians. “The prize will be awarded to a writer of literary fiction who within the reader has entered the story of mankind in the world. The prize winner can be from any part of the world and must have two published works, one of which within the last years,” the New Academy has specified. Within this seemingly straightforward and simple process lies great possibility and reading between the lines becomes far more gratifying than the one million kroner up for grabs. First, let’s take a closer look at the functioning of the prize itself. The New Academy Prize in Literature, with its month-long worldwide public vote could not be more diametrically opposed to the Nobel’s longstanding reputation of being opaque and elite. 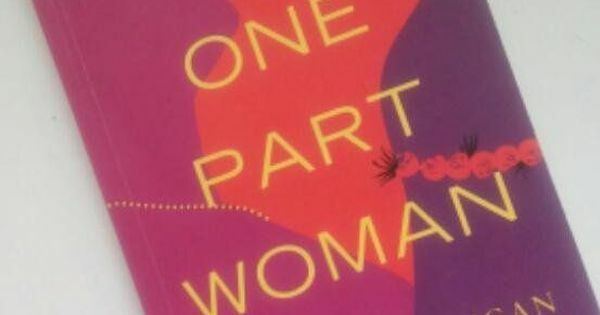 We recently saw the overwhelming success of such a process with Michael Ondaatje’s The English Patient winning the Golden Man Booker Prize through a popular vote. But perhaps this attempt at inclusivity is most integral at the prize’s shortlist stage, where the New Academy has enforced a gender quota (two men and two women), which is certainly a step in the right direction – and away from the disheartening statistics associated with the prize. Next, the lineup of authors on the longlist”. Perennial Nobel bridesmaids Haruki Murakami, Margaret Atwood, Cormac McCarthy, and Ngugi wa Thiong’o, among others, sit alongside Zadie Smith, literary power couple Paul Auster and Siri Hustvedt, musician Patti Smith, Israeli writer Amos Oz and Polish author Olga Tokarczuk, who won the Man Booker International Prize this year. But the longlist for the prize also includes global literary superstars such as JK Rowling, Chimamanda Ngozi Adichie, and Elena Ferrante. 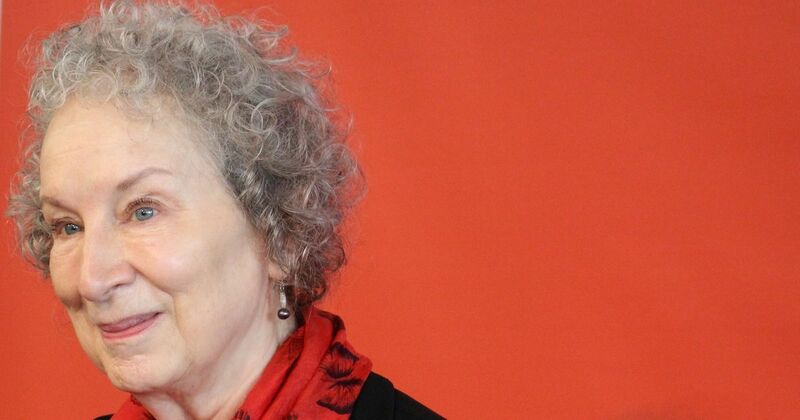 Twelve Swedish writers made the cut, as did Booker winner Arundhati Roy. Several authors, including those nominated, took to Twitter to express their opinions on the alternative Nobel. While it’s clear whom Meena Kandasamy’s vote went to, she also added her reservations about the nature of powerhouse prizes such as the Nobel: “I sort of think there’s a musical chairs on these prizes, so if they give it to a Canadian (or whatever nationality), they wait for a l-o-n-g time before they give it to the next one”. It’s an echo of the questions and qualms regarding literary geography and national identity that have emerged from even a cursory look at the Nobel statistics. Fantasy writers Nnedi Okorafor and Neil Gaiman also feature on the long list. Making an important statement about the debates between serious “literary fiction” and what we generally refer to as “genre fiction”, Okorafor wrote: “I’ll just say it, there’s respect paid to many types of truth-tellers, including those of fantasy, science fiction, and young adult literature. And it’s done in the same space as ‘literary’ fiction. It’s about time.” In the same vein, Neil Gaiman also expressed his utter delight at sitting on a list alongside such exciting, arguably unexpected names: “It’s cooler to be nominated for this than to win a real one” he tweeted. In her essay in the The New Yorker, Alexandra Schwartz concluded on an important, even hopeful note: “There is nothing normative or definitive about the Nobel Prize and its winners,” she wrote. “What makes the prize relevant is our belief that it is. The academy’s scandal is a reminder that it owes its legitimacy to us readers.” It is not an overstatement to say that the New Academy has nudged aside the Nobel’s apparent normativity, picked up the pieces after it fell from the pedestal it was placed on, and made something bookishly beautiful from it. Prizes often boast about their scandals, controversies circuit around them and these in turn boost their prestige within the cultural and literary landscape. Whether the Nobel will recover from a scandal of such scale only time – and the 2019 prize – will tell. For now, the future of books is where it should be – in the hands of readers. And perhaps, it is even returning to the roots it was founded on, travelling as it is in the “ideal direction”.